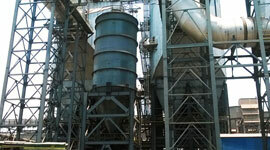 Soil & Enviro Industries Pvt. Ltd.
Design, manufacturing, supply testing & commissioning of Cast house de -fuming system at blast furnace-4 having Gas flow of 4,00,000AM3/Hr. 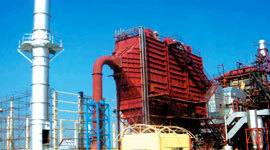 Scope comprises of complete Mechanical, Electrical & Instrumentation and Civil for ESP, ID fan, stack and ducting. 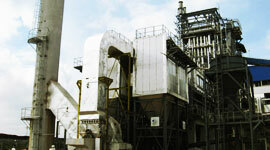 Cast house de - fuming system at blast furnace-4. 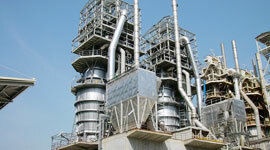 Supplied ESP having Gas flow of 7,40,000AM3/Hr. 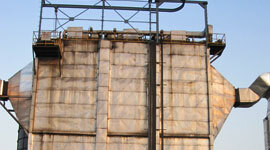 Design,manufacturing ,supply testing & commissioning of Bag filer based de dusting system for vertical lime kiln. 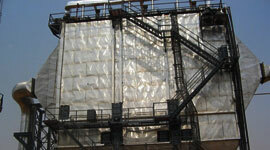 GAS FLOW-36,000 CMH. 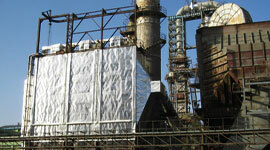 Scope comprises of complete Mechanical, Electrical & Instrumentation and Civil for Bag filter, ID fan, stack and ducting. 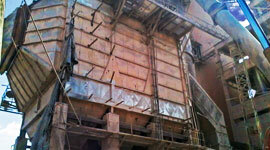 Upgradation of ESP for boiler no 1, 2 & 5 for outlet emision of 50mg/Nm3. 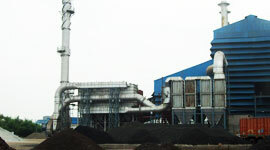 Fume Extraction System for AOD Converter. 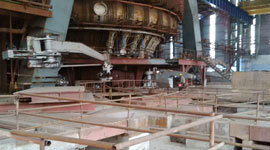 ESP based Dust Extraction System for 3.5 MW captive power plant with husk fired AFBC boiler of 25 TPH. Bag Filte Based De-Fuming for Gas Flow of 105000 Am3/Hr AT 240 deg Centrigade corresponding to boiler steam generation of 28 TPH in spent wash fired boiler. 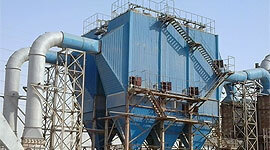 Kiln Exhaust System for 2 X 100 TPD DRI Plant. GAS FLOW 2X24,000NM3/Hr at 180 deg.Cen. 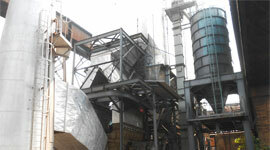 Design,manufacturing ,supply testing & commissioning of fume extraction systemof 60 T ladle furnace at SMS on turnkey basis. 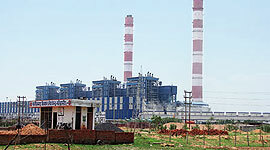 Design, manufacturing, supply testing & commissioning of ESP system for 5 MW CPP. Turnkey project comprises of design,manufacturing ,supply testing & commissioning of de-fuming system for 9MVA submerged arc furnace. 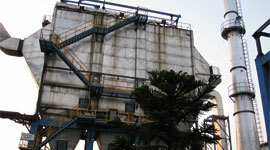 Kiln Exhaust System for 2 x 175 TPD DRI Plant. 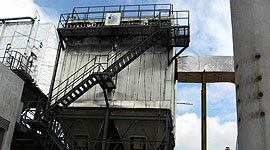 Boiler flue gas De Dusting System for 1 x 22 TPH rating Traveling Grate Boiler – Spent wash & Coal fired IN 2011. 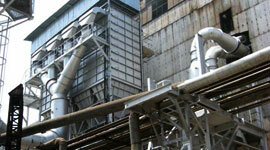 Boiler flue gas De Dusting System for 55 TPH Biomass Fired Boiler – Fuel FRP. Supply and Installation of ESP with auxilliary system. 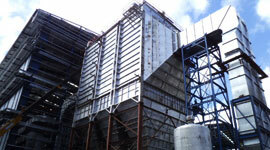 Kiln Exhaust System for 2 X 100 TPD Sponge Iron Plant IN 2010. Mon - Fri 9.30A.M. To 6.30P.M. Odd Sat 9.30A.M. To 6.00P.M. Soil and Enviro Industries Pvt Ltd better known as "SEIPL" is manufacturing Air Pollution Control Equipment and executing Turnkey projects to arrest Industrial Air Pollution. 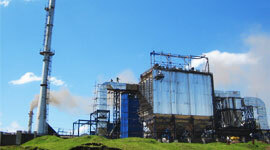 SEIPL made a humble start in the year 2001 and from them SEIPL stands high in this core field. We are ISO 9001: 2015 certified organisation to maintain our quality Management system. The company is now being diversified with divergent business opportunities and is continuously moving ahead to become a professionally managed corporate house. Copyrights © 2017 Soil & Enviro Industries Pvt. Ltd. | All rights reserved.